Searches for boiler suits are currently up 81% year on year on Lyst. They have steadily been increasing in London since September, going up a further 14% in the last two weeks. The most wanted styles of boiler suit are currently cream and denim. Meanwhile, & Other Stories and Forever 21 are the two brands that have recently been driving the most sales. With searches up 81% on Lyst year on year, boiler suits are already one of the biggest trends of 2019. In fact, this trend has become increasingly popular in London since September, with searches going up a further 14% in the weeks following London Fashion Week. While the tailored jumpsuit has always been popular, its laid back cousin has recently been winning the fashion crowd over thanks to its loose-fitting, industrial-yet-modern shape. 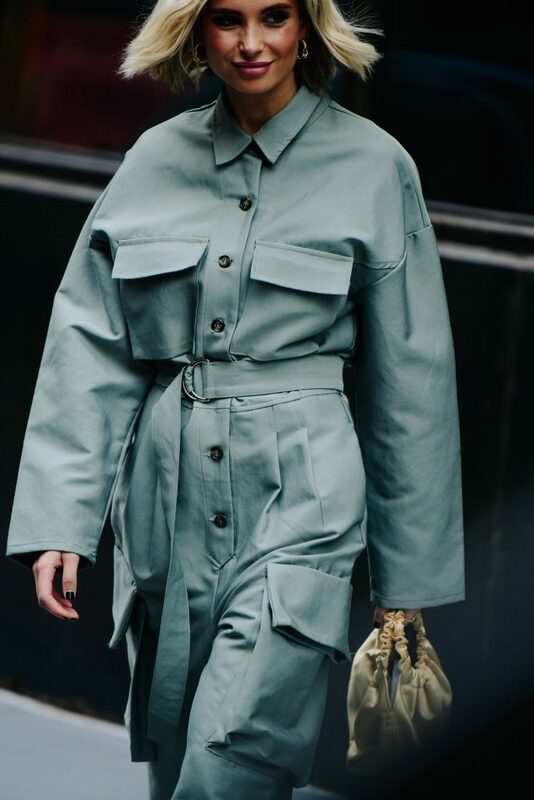 Worn by everyone from American supermodels Gigi Hadid and Kaia Gerber to British TV presenter Holly Willoughby, the boiler suit has been seen everywhere from the streets of Copenhagen to the Celine and Dior runways. Flattering yet comfortable and incredibly versatile, creamy-coloured and denim boiler suits have been particularly popular in the weeks following Fashion Month, with customers mostly turning to high-street favourite & Other Stories and American retailer Forever 21 to shop for this particular trend. As designers like Valentino’s Pierpaolo Piccioli and Louis Vuitton’s Nicholas Ghesquière continue to blur the lines between menswear and womenswear, and the industry keeps shifting towards gender-less fashion, it perhaps isn’t so surprising to see this androgynous item becoming a wardrobe must-have. And with already more than 17,000 Instagram posts under the hashtag #boilersuit, it seems as though this trend might well and truly be here to stay.